What Constitutes Adequate Notice of the Need to Take FMLA Leave? On behalf of Alan C. Olson & Associates posted in Family and Medical Leave Act on Tuesday, June 22, 2010. If employees do not give their employers adequate notice of their need for FMLA leave, they may deny themselves their benefits and rights under the FMLA. Therefore, it is important for employees to understand what constitutes an adequate request for leave under the FMLA. The Department of Labor ("DOL") regulations on the FMLA require that for "foreseeable" leave, an employee must provide at least 30 days notice before the leave is to begin. This is usually possible in situations where the employee or his or family member is undergoing a scheduled surgery or a scheduled medical treatment. (In addition to giving 30 days advance notice, if an employee is scheduling a surgery or treatment, he is also required to consult with the employer to make reasonable effort to schedule the treatment so as not to disrupt the employer’s operations). Sometimes the need for leave is "unforeseeable." For example, an employee may give birth prior to her due date, undergo emergency surgery, or be hospitalized due to a medical emergency. Giving 30 days notice would not be practicable in these situations. If the need for leave is "unforeseeable," and giving 30 days notice is not possible or practicable, the employee must give notice “as soon as practicable.” The regulations define “as soon as practicable” as providing notice of the leave either the same day or the next business day. However, in certain situations, this may not be possible either. In determining when it was practicable for an employee to provide notice, the employer is required to take into consideration the individual facts and circumstances of every situation. In a situation where the need for leave is unforeseeable, if the employee is unable to give notice herself, a family spokesperson may give notice on her behalf (i.e., spouse, adult family member, or other responsible adult).There is no requirement that an employee's notice be written. Verbal notice of the need for leave is sufficient. However, the notice must be sufficient enough for the employer to be aware that the employee needs FMLA leave as well as include the anticipated duration and timing of that leave. In some situations, just indicating the medical condition will be enough to put the employer on notice, where that condition indicates to the employer that it renders the employee unable to perform her job duties. For example, when an employee tells her boss that she is pregnant, she has put her employer on notice of her need for FMLA leave. Similarly, when an employee tells his employer that he has been hospitalized, he has put his employer on notice of his need for FMLA leave. Simply “calling in sick,” however, without saying more, is not enough. Typically, the employee is not required to expressly state that she is asserting her rights under the FMLA or even mention the FMLA during her request for leave. However, if the employee is requesting a second leave for a condition for which she has previously taken leave, then she needs to specifically reference the FMLA. For example, if the employee has taken FMLA leave to care for her sick husband six months prior and she suddenly needs to take additional leave to care for him, she must reference the FMLA during this second request. After an employee has given notice of the need for leave, the employer has the right to inquire further whether the leave is FMLA-qualifying or to request more information to make that determination. The employer has the right to, and almost always will, request doctor certification to determine if the medical reason is a serious health condition. The employee has a duty to respond to the employer’s questions regarding whether the leave is FMLA-qualifying or to provide more information, including the doctor certification, upon the employer's request. 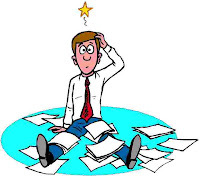 An employee’s failure to respond to such questions or requests may result in a denial of FMLA covered leave.Employers may also require an employee to comply with its usual and customary notice and procedural requirements for requesting leave, absent unusual circumstances. For example, if it is the employer’s policy that a certain individual be contacted regarding leave or a sick day, then the employee must contact that individual for their FMLA leave request. If an employer’s policy requires a written request for leave, than the employee must follow that policy. Failure to comply with the employer’s usual policy could result in a denial of FMLA covered leave. When an employee seeks intermittent leave or a reduced schedule under the FMLA, he must advise the employer, upon the employer’s request, of the reasons the intermittent or reduced leave schedule is necessary. Both parties are required to attempt to come to a solution/schedule for such leave that meets the employee’s needs without unduly burdening the employer’s business operations. A district court in Florida recently addressed the issue of what constitutes an employee’s adequate notice in Cooper v. Gulfcoast Jewish Family Services, Inc. In that case, the court held that there were two components to valid notice of the need for FMLA leave: “(1) the notice must inform the employer that the employee desires time off from work; and (2) the notice must assert that the requested absence is due to a FMLA qualifying condition.” The court found that after the employee expresses these two components, the onus is then on the employer to inquire further about whether the employer is seeking FMLA leave. The court also noted that where the leave is unforeseeable, the employer must provide the employee with at least fifteen (15) calendar days to provide any requested doctor certification. The court found that the 15 day time period runs from the date of the employer's request for the information, not from the date of employee’s absence. If you have given your employer adequate notice of your need for FMLA leave and you feel that your condition qualifies for the FMLA, but your employer is still denying you FMLA leave, you should contact an attorney. You should also contact any attorney if you feel you are being retaliated against for seeking or taking FMLA protected leave. Does the FMLA give rise to a private cause of action against an employer for disclosure of medical information? On behalf of Alan C. Olson & Associates posted in Family and Medical Leave Act on Tuesday, May 11, 2010. The answer to this question has yet to be definitively answered. A federal court recently entertained the question, but refrained from making a detailed analysis of the issue. Ekugwum v. City of Jackson, Mississippi, 2010 WL 1490247 (S.D.Miss. 2010). The court did, however, allow the claim to go forward on summary judgment since the defendant had failed to argue that no such cause of action exists. In that recent case, an employee alleged that the dissemination her medical information violated the FMLA. The employee had been hospitalization for treatment of a mental condition. After being hospitalized, the employee approached her supervisor and informed him that her mental condition would require her to take leave from work. The employer, as with most employers, required medical information in order to approve her leave as FMLA qualifying leave. The employee provided her supervisor with required medical information in a sealed envelope. She later found out that her medical information had been divulged to others in the office. Her coworkers informed her that they were aware of her mental condition. The employer had divulged the confidential information that she had provided in a sealed envelope along with her FMLA application. The court noted that the FMLA creates no privacy interests. However, it stated that the FMLA regulations give rise to a potential private right of action for employees whose medical have been disclosed by their employer. Specifically, the federal regulations for the FMLA addressing privacy require that the medical documents and records of an employee or employee's family member "shall be maintained as confidential medical records in separate files/records from the usual personnel files." See 29 C.F.R. §825.500(g). In its brief analysis, the court, which declined to give an opinion on whether such a cause of action actually exists, cited other courts who have touched on the issue. The District of Maryland briefly addressed this issue in a footnote in Walker v. Gambrell, 647 F.Supp.2d 529, 539 n. 5 (D.Md. 2009), stating that it is not settled whether the FMLA regulation provides a private cause of action for disclosure of medical information. The Northern District of Georgia briefly addressed the issue stating that there is no cause of action based on the FMLA regulation, and therefore, that employees cannot sue their employers under the FMLA for divulging information. See Rich v. Delta Air Lines, Inc., 921 F.Supp. 767, 773 (N.D. Ga. 1996). The issue was discussed in more detail by the District of Minnesota in Johnson v. Moundsvista, Inc., 2002 WL 2007833 (D.Minn. 2002) (not reported). There, the court acknowledged that there may be a cause of action under the FMLA based on disclosure of information, but stated that if one does exist, an individual bringing such claim must show that she suffered a "tangible injury" from such disclosure. In other words, the court held that it is not enough that the disclosure was made. The employee must have suffered some concrete or material loss or injury as a result of that disclosure. Id. As these cases show, the question of whether an employee has a private cause of action under the FMLA remains unanswered. However, the fact that the Southern District of Mississippi recently allowed the claim to go forward passed the summary judgment stage shows that courts are open to considering this cause of action as a rightful claim. An employer should not disclose an employee's medical information to anyone who is not directly involved in approving and/or maintaining his or her medical leave. 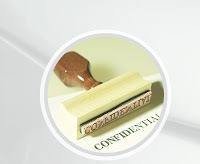 If your employer has disclosed confidential medical information that you provided in connection with your FMLA leave, you should talk to an attorney about whether you have a cause of action against your employer. It is worth exploring whether you may have a cause of action against your employer under the FMLA, the ADA, or some other state law. On behalf of Alan C. Olson & Associates posted in Family and Medical Leave Act on Wednesday, March 31, 2010. A federal court recently held that an employer may have violated the FMLA where it terminated the employee the same day that she returned from FMLA leave. In Mastin v. SYSCO Food Services of Detroit, LLC, the plaintiff, a former employee, brought a claim against her former employer for FMLA interference and FMLA retaliation. The court refused to dismiss the case on summary judgment, finding that there was a genuine issue of material fact as to whether the employee was terminated because she had taken FMLA leave. In this case, the employee took FMLA leave after the birth of her two children in 2002 and 2006. In 2007, she took a third leave under the FMLA after having hip surgery. Her third FMLA protected leave began in November 2007 and lasted until February 2008. The plaintiff was terminated the day she returned from leave in February. The employer stated that it terminated the plaintiff because her position was being eliminated. The employer alleged that it had began an analysis of the plaintiff’s department in November 2007. The analysis looked at the current jobs in the department, the amount of work that needed to be done in the department, and the people in the department. The employer claimed that the results of this November analysis plus dismissal 2007 holiday sales yielded a decision that the plaintiff’s position was no longer needed. In finding that the plaintiff had viable FMLA claims, the court relied heavily on the timing of her termination. She was terminated the exact date that she returned from her FMLA leave. The court also found suspect the fact that the employer’s alleged analysis of the department began the same time that the plaintiff began her FMLA leave. In addition to these timing issues, the court cited the fact that the plaintiff had a stack of work waiting for her on desk when she returned from leave and the fact that her coworker had testified that there was more work than could be done in the department while the plaintiff was on leave. The court found that these factors, taken together, could lead a reasonable jury to find that the employer interfered with the plaintiff’s FMLA rights and terminated her in retaliation for exercising those rights. If an employee is terminated at or near the time she returns from taking FMLA protected leave, she should look further into the reason given for her termination. If there is reason to doubt the employer's explanation for the termination, she should contact an attorney, as her FMLA rights may have been violated. On behalf of Alan C. Olson & Associates posted in Family and Medical Leave Act on Tuesday, March 16, 2010. In Brunson v. Forest Preserve District of Cook County, a recent federal case in the Northern District of Illinois, the Court found that an employer had interfered with an employee’s FMLA rights where the employer had received the employee’s FMLA application, but never responded to that application before terminating her. In this case, the plaintiff, a police officer in training, has been diagnosed with asthma three years before being hired by the police department/employer. As she began working outdoors in her post as a police officer, the plaintiff’s asthma began to worsen, resulting in sick days and two hospital visits. After the second hospital visit, the plaintiff was advised to file a request for FMLA leave. The plaintiff submitted an FMLA request to the Police Chief on January 16, 2006. Included with the request was a certification from her physician, one of the documents typically required for an FMLA request. Plaintiff contacted the Police Chief’s office eight days after submitting her request to inquire into the status of her request. She was informed that the request had been received. About two months after submitting the request, the plaintiff still had not received an answer. She contacted the employer’s human resources department. Human resources told the plaintiff that their department had no record of receiving her FMLA paperwork. The plaintiff again contacted the Police Chief’s office and was told that the form was “stuck in legal.” The Police Chief’s office said they would get back to her with follow up information, which they never did. In April 2006, three months after submitting her FMLA request, and without ever receiving an answer regarding that request, the plaintiff was terminated. The employer argued to the court that it did not have sufficient information to make a determination about whether the leave would be designated as FMLA leave. The court disagreed. It should be noted, also, that the employer never argued that it had sought additional information from the plaintiff or her spokesperson (parent, child, spouse, doctor, etc). The court found that by failing to respond to the plaintiff’s request for three months, the employer had interfered with the plaintiff’s FMLA rights. Under the Department of Labor Regulations, an employer is required to let an employee know whether leave will be counted as FMLA approved leave within five days after having enough information to determine whether the leave is FMLA-qualifying. Where an employer does not have sufficient information to determine whether leave is FMLA-qualifying, the employer should inquire further of the employee or her spokesperson to obtain the additional information. If an employee has applied for FMLA leave and has not received a response from her employer within five days, she should ask her employer about the status of the request. She specifically should ask if any additional information is needed. If no additional information is needed, then the employer should render an immediate decision. If the employer does not render a timely decision and does not request additional information, the employer may be liable for interfering with the employee’s FMLA rights. On behalf of Alan C. Olson & Associates posted in Family and Medical Leave Act on Wednesday, February 24, 2010. Court Finds Employer May Have Violated FMLA By Laying Off Employee Pursuant to a Reduction In Force In Cutcher v. Kmart Corp, a federal court of appeals recently found in favor of an employee who had been terminated in a “reduction in force” (RIF) after returning from FMLA leave. The employee alleged that by terminating her employment upon her return from leave, the employer interfered with her FMLA rights. She also alleged that her employer retaliated against her for exercising her FMLA rights by terminating her employment. In deciding that a jury could reasonably find in favor of the employee, the court of appeals paid particular attention to the fact that the employer had prepared an evaluation in preparation of the RIF which varied substantially from an actual performance review of that employee done just twenty days prior. The employer acknowledged that the employee’s performance had not changed in that short time period. Other factors playing a role in the court’s decision included the fact that the leave of absence was referenced in the RIF evaluation, and the fact that the employer had no documented evidence of prior concern with regard to the employee’s job performance. 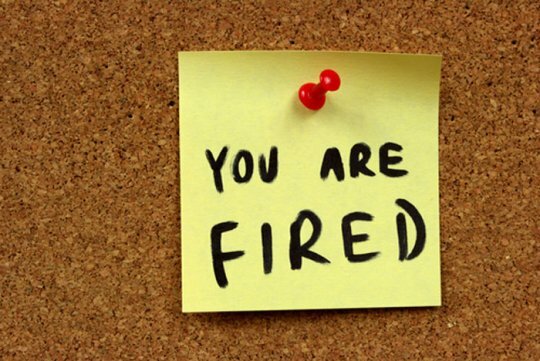 While this case does not stand for the proposition that an employee who takes FMLA leave near or at the time of a RIF cannot be laid off pursuant to that RIF, it should serve as a cautionary tale for employers who are conducting a RIF. FMLA leave should not be a factor taken into account when an employer is conducting a RIF. Like many other cases, Cutcher v. Kmart Corp. should raise a red flag for any employee who finds himself or herself being treated adversely (or out of a job) upon returning from FMLA leave.